When planning for the development of a tract of real estate, many considerations come into play. In most cases, the various land uses permitted by the applicable zoning ordinance are studied by the developer at the outset, usually before a developer buys the real estate. We call that inquiry a zoning assessment review. The Land Use Department at MacElree Harvey is adept at assisting everyone from experienced real estate developers to novice entrepreneurs with a zoning assessment review. It is indeed a critical initial step in real estate acquisition and development. Sometimes, it is appropriate to ask the municipality to consider a zoning ordinance amendment to allow a use that may be more appropriate or beneficial for a property than that which is permitted by the existing applicable zoning regulation. MacElree Harvey’s Land Use Department has pursued and obtained many zoning changes with varying degrees of complexity, from minor residential changes to sign ordinance changes to major comprehensive zoning changes for significant developments involving large tracts of land. Thoughtful land use planning is paramount in these cases. MacElree Harvey has worked with some of the most prominent land use planners in Pennsylvania and beyond. 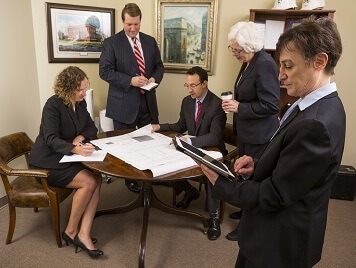 Our attorneys understand the issues that local governments are concerned about, and plan ahead to address those concerns in order to facilitate a sensible and efficient process.